Finally, the October 20, 2018 unveiling of AWR Studio Furniture at Bungendore Wood Works Gallery, NSW is almost here. We now have an extraordinary collection of work to present. Shortlisted entrants in Australia, New Zealand and Denmark have put their hearts and souls into creating new work, and in so doing many have reached new levels as designers and makers. The contemporary works to be displayed include tables, drinks cabinets, drawer chests, credenzas, chairs, rockers, boxes, mirrors, lighting and wall hung cabinets. None of the pieces have ever been shown before. This collection of fine handcrafted furniture is arguably the most significant that has even been offered to the buying public. 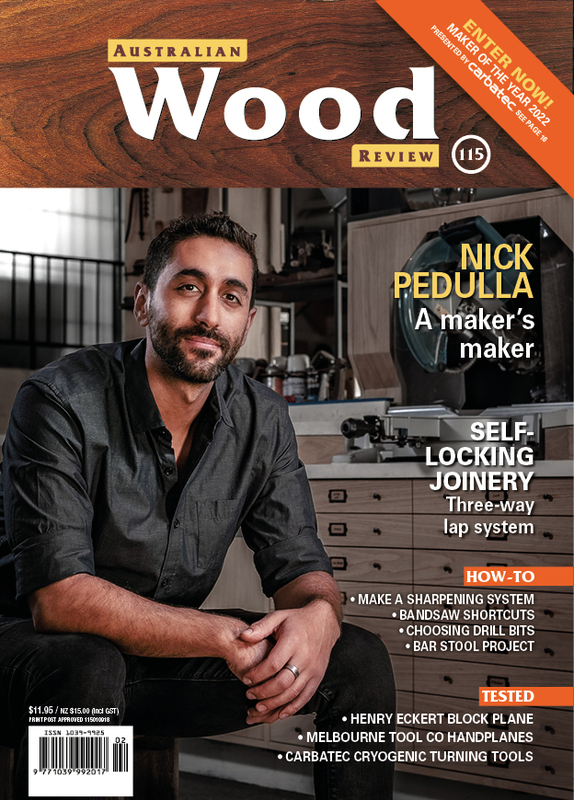 The exhibition opens during Wood Dust Australia, and will run until January 31, 2019. This concludes our series that featured all entrants to AWR Studio Furniture 2018. 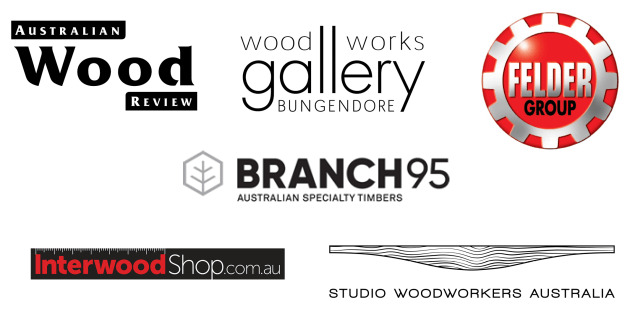 Bungendore Wood Works Gallery is sponsoring a massive $15,000 in cash awards, including a first prize of $10,000. You can now begin to see images of the actual work created for the exhibition by shortlisted entrants on our Instagram (see #studiofurniture 2018) and Facebook pages. A love of the bush, a commitment to sustainability and the pleasure of working with her hands have been a constant in Alexsandra Pontonio’s career. Initially studying social sciences at RMIT University, focusing on sustainability and environmental policy, she spent her spare time bush walking in Victoria’s High Country. A two-year program studying furniture design, also at RMIT University, allowed Pontonio to work with her hands, as well as explore her sustainable approach. “I’m not interested in consumerism or predicting the latest trends. I’m interested in producing furniture that has longevity, pieces that can be passed on through the generations. After graduating with an Associate Degree in Design (Furniture) from RMIT University in 2015, Pontonio has been involved in a ‘wave’ of projects, some local, others further afield, such as the Milan Furniture Fair (2016). Included as part of the ‘Melbourne Movement’, founded by eminent designer and teacher Kjell Grant. My name is Douglas Keith and I'm a young 23 year old fine furniture maker based in Canberra. I work for Myles Gostelow who also trained and mentored me during my apprenticeship. We specialise in one off custom pieces of handcrafted fine furniture. The ability to create something unique and of very high quality from nothing less than a few hand selected boards drives my passion for the craft. Throughout my apprenticeship I was awarded with the following: 2015 FIAA Regional Apprentice of The Year, 2015 National John Tiddy Apprentice Of The Year, 2017 FIAA Apprentice Of The Year, 2017 Most Outstanding Achievement Award Of The Year and 3rd in the National Worldskills Cabinet Making Competition. Under Myles’s close mentoring and leadership, I will continue to develop and hone my skills to hopefully owning and running a successful fine furniture business. I am a self employed bespoke designer and maker, living and working in a Launceston. I manufacture furniture and small items in Tasmanian timbers on commission and for gallery sales. I completed an associate degree in Furniture Design at UTAS school of fine furniture in 2010 and was entered in the Dean's role for excellence in 2008. My works are based on my interest in late Ming, early Qing dynasty Chinese furniture, Japanese joinery techniques and Art Deco designs. Niklavs Rubenis is a designer and maker with a diverse studio and research practice. He has been involved with design projects spanning community, non-profit, residential, commercial and cultural institutions, and has had work exhibited and presented nationally and internationally. Rubenis is also involved in a range of national curatorial and collaborative projects, regularly writes for publications, and has been the recipient of industry funding, grants and awards. Rubenis also serves as a Councillor on the Design Institute of Australia’s ACT executive committee and is an Accredited Professional Member of Craft ACT: Craft and Design Centre. Currently he divides time between studio practice, lecturing at the School of Art & Design, Australian National University, and teaching into the cabinet-making apprenticeship program at the Canberra Institute of Technology.